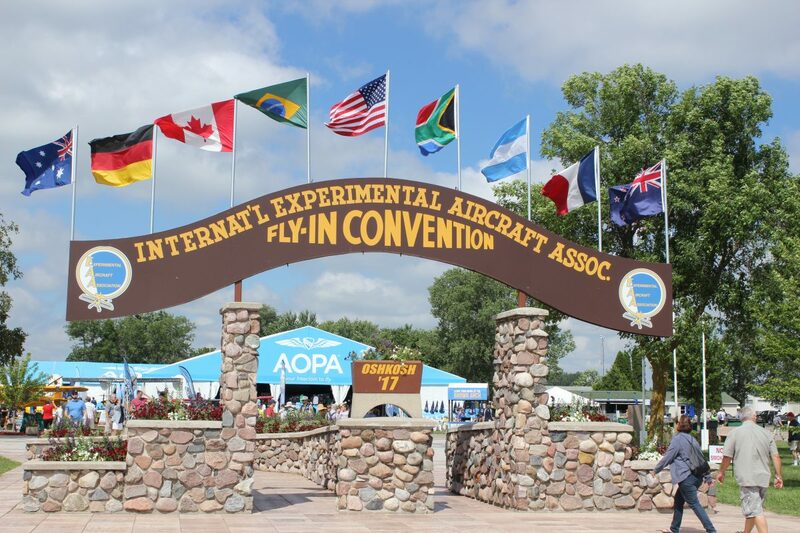 There’s only one week left until EAA AirVenture Oshkosh 2018, and we’re gearing up for another exciting week of aviation innovation, history, education, aerobatics, and much more with thousands of aviation enthusiasts from around the world. As we prepare for AirVenture 2018, we’re taking some time to note the most exciting things to see and do at this year’s event. Today, we’re highlighting a few of the restored warbirds you can see at AirVenture 2018. There’s nothing quite like hearing the sound of the P-51 Mustang’s Rolls-Royce Merlin engine roar. At this year’s AirVenture, you’ll have opportunities see the iconic WWII fighter in the air and on display at Warbird Alley. According to the EAA, more than 20 restored P-51 Mustangs are expected to fly in to this year’s AirVenture, including a newly restored C-model P-51 painted to honor the late Donald Lopez, who was a WWII pilot and deputy director of the Smithsonian National Air and Space Museum. This year marks the 80th anniversary of the T-6 Texan, which was used as the advanced trainer for WWII pilots. To commemorate the type’s 80th anniversary, at least 80 historic T-6 Texans will be present at this year’s AirVenture, and some will be flying in a special airshow showcase on Tuesday, July 24th. A dozen Douglas C-47s and DC-3s are expected to fly in formation at AirVenture 2018, including That’s All, Brother, the newly restored C-47 that led the D-Day aerial invasion into Normandy. As part of the Commemorative Air Force (CAF) Central Texas Wing, That’s All, Brother along with three other CAF C-47/DC-3 airplanes will make the flight over the Atlantic in 2019 to commemorate the 75th anniversary of the Normandy invasion. One of the most well-loved aircraft at AirVenture is Doc, one of only two B-29 Superfortresses currently flying in the world. Doc was restored to flying condition by a group of volunteers known as “Doc’s Friends” in 2016. Today, Doc is a fan favorite at airshows around the country. Several rare British jets are also featured at AirVenture 2018 to commemorate the centennial of the Royal Air Force. The early British jets featured include the Gloster Meteor arriving from the UK, which is currently the oldest original flying jet in the world, as well as the de Havilland Vampire and Venom which will also be part of the Warbirds lineup. These are just a few of the dozens of rare and historical Warbirds you can see in the skies or on display at EAA AirVenture 2018! To learn more from historians, pilots, and those who helped build or restore the aircraft, be sure to stop by the daily Warbirds in Review sessions held daily during AirVenture at Warbird Alley.